The Rockaway Borough Public Library has four computers available for public use, each with the Library's online public access catalog, internet access, online databases, Open Office software for word processing, and printing capability. 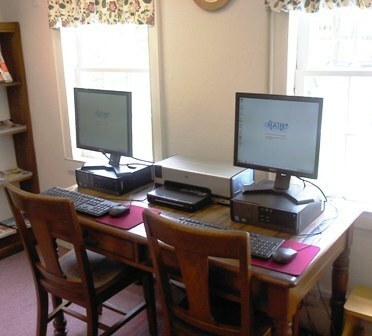 Two of the computers are located in the Children’s Area and are preferred reserved for children and their parents/caregivers. Please see the Library's policy for computer and internet use. We also offer open wireless access throughout the building and grounds. Library computer, internet, wireless, and printing policies posted at all public computer workstations.